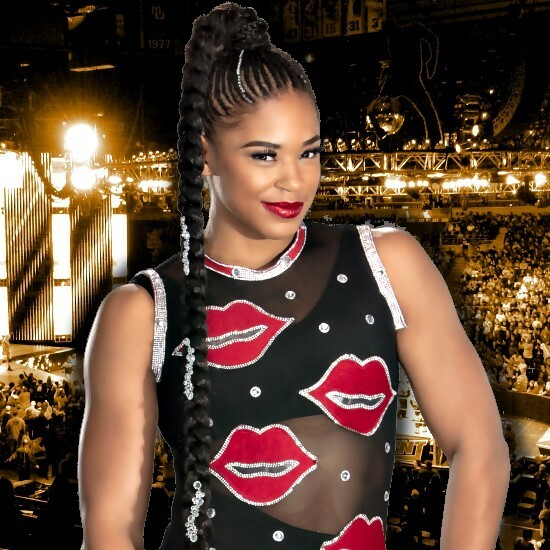 - WWE posted this video of Triple H offering words of encouragement to an emotional WWE NXT Superstar Bianca Belair after her second-round loss to Kairi Sane in The Mae Young Classic. Belair defeated Sage Beckett in the first round but lost to Sane, who is now set to face Shayna Baszler in the live finals from Las Vegas later this month. Mickie James releases new country single, "Get Down"
Raw Superstar and country music songstress Mickie James has just released her new single "Get Down," available now on iTunes. In addition to capturing six championships in WWE, James has been active on the country scene over the years, releasing two albums, "Strangers & Angels" and "Somebody's Gonna Pay." You can download "Get Down" now by visiting itunes.com.